First Class Auto Transport is a licensed and insured company that has been providing service for their customers since 1999. Like their name, First Class Auto Transport is dedicated to providing their customers with friendly, secure, and superior car shipping services. First Class Auto Transport pays close attention to detail, and their employees will treat your vehicle as if it were their own. Their auto carrier's pick-up and deliver an average of 8 to 10 vehicles at all times. They ship everything from motorcycles to RVs, and even classic cars and vintage cars. Their rates begin around $699.00 for cross-country shipments. One of the best things about their payment options, is that there is no deposit required. They also offer auto transport discounts for senior citizens, and members of the military. You can call or go online for a free quote. For a West Coast to East Coast trip, it can take about 7 to 14 days to get your vehicle to its destination. First Class Auto Transport offers direct door-to-door auto transport and has been rated 5 stars for it. They guarantee that your vehicle will arrive on time. They keep customers up to date 24 hours a day with the transport progress of your vehicle, so you know where your vehicle is located at all times, and when it is scheduled to arrive. 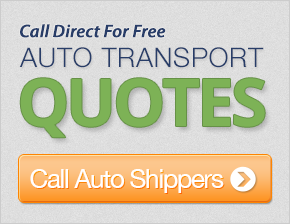 They encourage you to purchase auto transport insurance coverage when you are planning to ship your vehicle. Your vehicle is their top priority and they want it to remain safe and secure. I will definitely trust my investment vehicle again with this company, and, specifically with the customer support team. Not only did I receive the best quote, but my car was received before I anticipated and in optimim condition. The driver was very helpful and kept me informed of his ETA at all times. Thank you all! I really do appreciate the driver's hard work - he was the best. He came through for me when I was in need. Because of him, I was able to afford my hotel stay. Because of overhead wires and trees, the truck was not able to get to my house. Since the vehicle did not run, it posed a bit of a problem. I do have my own car trailer and, with the help of the driver, I was able to load the vehicle onto my trailer. The driver was very helpful. Thank you and I would recommend you again! Support staff were very friendly and made me feel confortable with shipping my car. This was my first experience and I was pleased with the service. You were great! We had our car in a week. Good stuff! The drivers who dropped off my truck were great folks. I am very pleased with the service and I would use you all again. Customer service has been extremely helpful and very professional in my move. Many thanks! The carrier person worked with my dad, who said it was a very positive experience. The carrier person on the Florida side was very helpful in making this connection. He drove with me to my rental car place so I could return my temp rental, and he did not bat an eye about making this difficult situation for me a very positive experience. Thank you to you and him for a positive experience. I would recommend your service. Service was awesome, though delivery took a bit longer than expected. They were the best! Thank you! Our customer service rep rocked - thank you for the peace of mind! The driver was very courteous when the vehicle arrived. Thank you. Our driver did the best job possible. Our sales rep was good and so was the service.